Customizing WordPress Admin – updated for 3.1 with new tips! Back in June of 2010 I debuted a talk at WordCamp Chicago which I updated and shared in September at WordCamp Mid-Atlantic. Aimed at developers, Customizing WordPress Administration offered killer tips for consultants looking to tailor the other end of WordPress for their clients. At the heart of the talk was a simple Twenty-Ten child theme, with the focal point being a functions.php file loaded to the gills with hooks and functions that customize the branding and administrative experience (available for download here). I’ve updated the child theme to 1.5; in addition to incorporating some suggestions, I’ve updated some small bits (like removing menu items) to take advantage of new WordPress 3.1 API calls and some other best practices (it now requires WordPress 3.1). Read More on Customizing WordPress Admin – updated for 3.1 with new tips! I have nothing against Drupal. In fact, I’ve developed websites on Drupal, and have recommended Drupal for some truly atypical and complex website projects. That said, I maintain that WordPress is not just a capable CMS for 90% of websites, but today, it’s the better choice. It’s usability is second to none, and with lower setup costs, hosting requirements, and maintenance requirements, it’s a smarter choice for the average client’s wallet. With the fairly recent addition of features like custom post types, custom taxonomies, and built in menu management, WordPress is quickly closing the gap on that 10% “unsuitability” hole, too. You can’t blame Acquia for trying to protect their business, but it is a bit sad to see serious companies perpetuating the myth. For those still in doubt, I’ve attached my presentation from my “That’s a WordPress site? ?” lightning talk from July of last year. Throughout the month of April, I had the pleasure of co-hosting the WordPress Weekly podcast with regular host Jeff Chandler. The April episodes comprised a mini-series focused on commercial WordPress business models, not including consulting. Our primary goal was to provide insight and wisdom to those considering a commercial software or SaaS model built on an open source project (WordPress, specifically) from those who had been there and done that. The origin of the series actually dated back to January’s WordCamp Boston, where Jeff moderated a panel I organized called “Monetization in a Free World”, intended to help the audience understand the commercial WordPress themes, plug-ins, and SaaS businesses. Jeff ended up being in an impossible position, with 40 minutes to cover all 3 models and incorporate Automattic’s perspective, visa vi Jane Wells. Jeff and I decided it was worth doing justice to the idea; and so the April series of podcast episodes came to life. Inspired by a few WordCamps that built themselves up from local WordPress meet ups, I finally got a few locals together at the beginning of April (Ken DeBlois of Brown and Suzanne McDonald, a freelance writer) to help organize a Providence Meetup. A couple of planning meetings, a new website, a Twitter account, and some local marketing later, we had our first meet up on April 26th. I’ll be blogging over at the WordPress Providence website, so I won’t say too much about it in this forum, but the headline is that I was thrilled by the turn out and energy at our first event. We had about 30 attendees, a lot of buzz during the hour of networking, a nice and short presentation by DandyID (a local firm with a popular plug-in), and a great after-presentation brainstorming / discussion session. 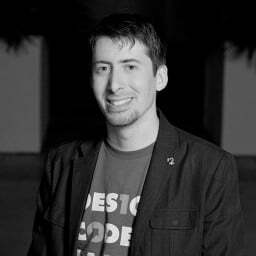 I will be talking WordPress at two upcoming events, on opposite ends of the U.S. east coast this month. WordCamp Miami. Never a big fan of winter, I’m definitely looking forward to a breather in sunny Miami, Florida. I’m flying down the evening before (this Friday, the 19th) and returning the following Tuesday. It’s actually more economic to stay a couple of extra days at the hotel as compared with taking a Sunday flight back. In any case, I’ll be speaking at Miami’s WordCamp, which takes place on Saturday the 20th at the University of Miami. I’ll be presenting a revised version of Themes 101, which “premiered” at WordCamp Boston. It will incorporate new information on the upcoming “default” theme, along with some feedback from Boston. If you’re in the area and interested in meeting up on Sunday or Monday, send me a note. Boston North Shore Web Geeks’ “Great CMS Debate”. I’ll be representing WordPress on a panel debating the merits of a few popular web content management systems (CMS). Other panelists include Boston Web Studio’s Marc Amos (Expression Engine), Jay Batson (co-founder of Acquia, a widely known Drupal consultancy), and Fidelity’s Tom Herer (representing Kentico). 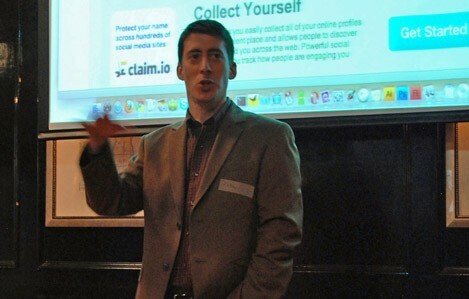 My friend, founder of WordCamp Boston, and strategy guru at Optaros, John Eckman, moderates. It takes place on February 25th, at 7 ,pm in Newburyport, Massachusetts. Back in November, I had the pleasure of attending WordCamp New York City. I spent about 10 minutes presenting my Google Reader plug-in, had a kick off WordCamp Boston planning meeting, had the pleasure of meeting inspiring folks like Raffi Mudge, and even had a great conversation in the hallway with Matt Mullenweg and Jeff Chandler (me in the middle with the shoulder bag, Matt sitting to my left, Jeff to my right – photo courtesy John Eckman) for about 40 minutes. One of the sessions I attended was Ramil Teodosio’s WordPress Powered-Intranets. I’ve done a few Intranet implementations of my own and Ramil’s seminar was a bit more focused on SharePoint-like substitution than I expected. My own experience gave me an opportunity to pipe up a couple of times to offer suggestions and, among other things, plug my free Restricted Site Access plug-in, which was born out of an Intranet project, and I thought might be of interest to the audience. Judging by the post-presentation follow-up with a handful of attendees, at least a few found my comments useful. 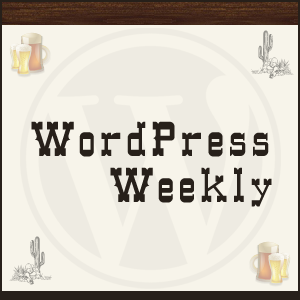 Last night I recorded the WordPress Weekly podcast with Jeff Chandler of WordPress Tavern. We chatted for about 90 minutes, and then want on to chat more during an after show chat that continued for over an hour. The podcast was published today, you can listen to it or get instructions for downloading it here. Here’s the iTunes link. I really enjoyed participating in the podcast, and hope to participate again in the near future. On the heels of part 1, part 2 of my Advanced Power Tips for WordPress Template developers was published on Smashing Magazine this morning. The article made it up to #2 on the Delicious popular bookmarks list during the day. Part 2 reviews techniques for delivering a more elegant, customized administrative experience. My latest Power Tips article was published last Wednesday on Smashing Magazine. Part 1 covers techniques for adding sidebar content elements and associating post categories with pages. Part 2 will be published in about 2 weeks, and focuses on administrative customization.